Donna Ross Dispute Resolution is a boutique practice specialized in negotiation, dispute resolution and prevention. Negotiation is the first step. Effective negotiation is key to ensuring a positive outcome for all parties. Assisted negotiation or deal mediation enables parties to focus on the substance of the agreement with an experienced neutral guiding the process to promote optimal performance and a healthy business relationship. Nonetheless, disputes inevitably arise in business relationships. What is most important is to have adequate procedures in place beforehand – preferably set forth in the agreement – to manage and resolve them in a prompt and cost-effective way that makes commercial sense. ADR, or Alternative Dispute Resolution (also termed amicable or appropriate dispute resolution), encompasses a number of techniques that parties can choose to resolve their disputes out of court, or in parallel to court proceedings. While Mediation, which allows parties to forge their own settlement agreement with the aid of a neutral, is the cornerstone of any ADR practice, when a binding decision is required, Arbitration may be the best means of resolution. This is particularly true for international deals or disputes. Donna Ross Dispute Resolution advises companies, individuals and their counsel on best practices for negotiating deals and preventing disputes by helping them to understand the legal and business implications of their obligations – particularly in cross-border deals – by adeptly representing them in negotiations and drafting agreements with appropriate dispute resolution clauses. The firm also provides business and legal consultancy services. The founder and principal, Donna Ross, LL.M., FCIArb, PRI, is an Australian and U.S. lawyer, an NMAS accredited mediator, a seasoned negotiator and an arbitrator who brings global experience and a wealth of legal, ADR and business knowledge to her clients in Australia, the U.S., Europe and throughout the world. Donna Ross, LL.M., PRI, FCIArb, Acc. NMAS is the principal and founder of Donna Ross Dispute Resolution. She is an accredited mediator in Australia (NMAS) and New York (Supreme Court, New York County), an arbitrator (Fellow of the Chartered Institute of Arbitrators) and an advocate representing clients in mediations, arbitrations and settlement negotiations. Ms. Ross is admitted in Australia and New York and also holds a French civil law degree. She established Donna Ross Dispute Resolution to focus on mediation and ADR. As a legal practitioner Donna Ross fully understands the legal nature and implications of disputes and the alternatives to settlement. She applies her extensive legal and ADR training and expertise to find creative ways of preventing and resolving business conflicts to avoid litigation. 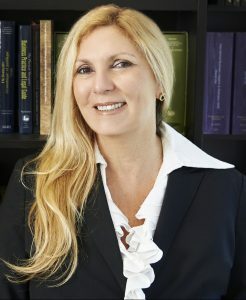 In addition to acting as a mediator, arbitrator or advocate, over the course of her career, she has advised business owners and individuals in preventive dispute resolution, managing business relationships and business restructuring and advises clients and counsel on U.S., French and international law. Donna Ross is also a seasoned negotiator: She teaches negotiation, negotiates drafts agreements – including DR clauses. An active participant in supporting ADR in Australia, Donna Ross is a frequent speaker and judge at ADR events, chairs Resolution Institute’s Arbitration Committee in Victoria and sits on the RI, National Determinative Committee, the Steering Committee for the ICC Australia Asia-Pacific Mediation Competition. She is a Fellow and faculty member of the Chartered Institute of Arbitrators and is on the list of mediators of the Magistrate’s Court in Victoria (SLEMM). Pleased to share my article on dispute resolution clauses published in the January 2018 ADC Bulletin "Beware the Champagne Clause: When the Effervescence Fades, It May Just Be Pathological". Henry Schein Inc. v. Archer & White Sales Inc., No. 17-1272 - arbitrability upheld, wholly groundless exceptions invalidated. Disclaimer: This website contains attorney advertising. The information on this website is for general information only and should not be construed as legal advice or the formation of an attorney-client relationship. Prior results do not guarantee a similar outcome.